No mercy for these thugs. ... the rude awakening of our nation and the deep state that runs it. This is NOT health care policy. It is a CRIMINAL attack on the health and well being of workers, women, youth, older USA residents, anyone living with any type of illness -- all of us regardless of age, gender, ethnicity. STAND UP! FIGHT BACK! 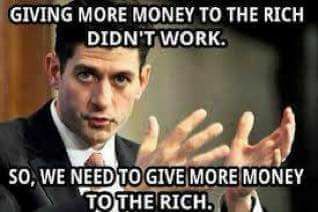 It is important for progressive organizers to understand the details of Trump/Ryan care so we can explain it to people, especially to Trump voters in our efforts to convince them to vote for left leaning progressives for Congress in 2018. This is ammunition for our voter education/voter registration efforts across the country in preparation for 2018 elections. They didn't repeal Obamacare but they certainly signed a death sentence for a lot of sick kids, poor people, and seniors. Raging Pencils is a thrice-weekly progressive comic developed and created by Dallas-area illustrator Mike Stanfill, sometimes known as "Lefty", sometimes not. 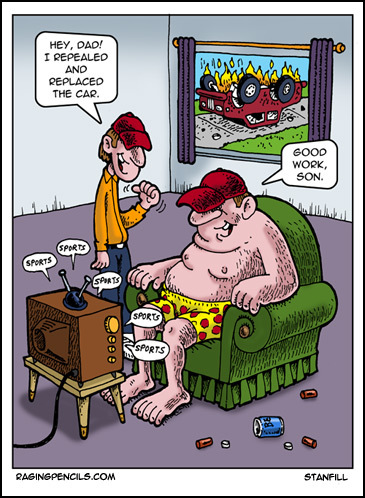 For households with ‘adjusted gross income’ between $60,000 and $100,000, tax cuts will help pay for a brake job on your three year old car. For households with the ‘agi’ between $250,000 and $400,000, tax cuts will pay for a brand new luxury ‘lexus’ every year. For households with the agi over $1 million, tax cuts will pay for a new upscale condominium, each and every year. Drain the swamp. Looks like he is filling it up to the brim. Yard sale at Fort Knox. 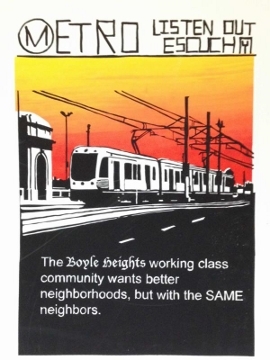 Using the excuse that Portside https://www.facebook.com/Portside.PortsideLabor picked up my piece on the May Day general strike in Reading, PA to share it again. OMG! See what happens when a grown up steps in! Well at least that election was good news. Whew! As a Grad student at the University of New Hampshire, USA, 1969-71, I have vivid memories of the impact made by the Kent State massacre. Night after night, we held candlelight memorial processions through the streets of Durham, NH, and shut down classes at UNH itself for a week, while Palestinian Grad student Salim Tamari and myself conducted an anti-War teach-in for some very hostile students' parents who were visiting the campus. Arguing against the Vietnam War, I made the point that "It's not as if the USA has been invaded". One parent put his hand up to make an intervention. Looking directly at the Irishman and Palestinian in front of him, he remarked: "We're invaded already!" To this day no one has been held accountable. Couple of wrong dates in the article, no big deal. Mostly wanted to write about how that song recalls for me the period of the late sixties, early seventies. A minority of that generation challenged militarism, sexism, racism... Kent and Jackson where reminders that while we though we had the bastards on the run, they were perfectly willing to shoot us down, Thank you, Holly Near, for a powerful song. The French presidential election, also hacked by the Russians, had a very different outcome from the election here. 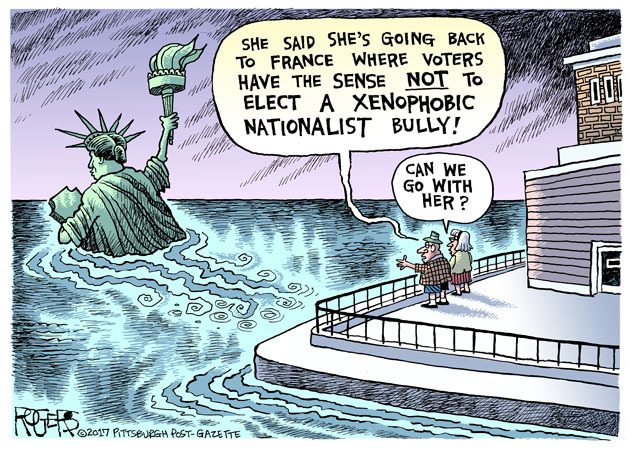 I guess witnessing the first 100 days of Trump was sobering enough to scare the French away from Le Pen. Anyone surprised by this from Wells Fargo? This is the same bank that created false accounts in the name of its customers so that they could charge them monthly fee. The CEO was forced to resign and walked away with many millions of dollars. Trump said he doesn't like to read so, what would you expect? Arrogance, thy name is Trump. There seems to be a good deal of ignorance of history, basic grade school science, and other areas including basic ethics going around. Then, there is the glorification of ignorance and stupidity running rampant. Can not wait for Clown Prince Donnie to start blaming Obama for the Civil War. …And while Jeff Sessions surely knows that #Hawaii has been a U.S. state since 1959, he and others would do well to remember that the formerly #independent #Kingdom of Hawaii was, in fact, #illegally #overthrown by the #UnitedStates in 1893 — and that Hawaiian legal scholars and others still dispute the validity of the U.S. annexation of Hawaii. The subsequent road to statehood and attendant impacts to Hawaiian culture and society, land rights, and the environment stand out as a glaring example of what can happen to an island in the Pacific when it catches the eye of a great power. On the other side of the date line, the U.S. territory of #Guam is highly valued by the U.S. military as its “unsinkable aircraft carrier” in the Western Pacific, anchored strategically near East Asia. But most Americans would struggle to find it on a map. Guam has one of the highest military enlistment rates in the U.S. but remains divided over its political status. There’s an effort underway to hold a plebiscite that would address the island’s political status as an “unincorporated territory.” A vote on whether Guam should pursue statehood (like Hawaii), forge a free association with the U.S. (like #Micronesia’s three Compact of Free Association nations), or seek full independence would be a significant step toward ending its colonial status and move toward self-governance. Like Guam and Hawaii, the Republic of the #MarshallIslands knows all too well what it means to be an island in the Pacific. The impact of the 67 nuclear weapons tests conducted by the U.S. in the northern atolls (most famously on #Bikini) is measured not just in contaminated islands and devastating cancer rates, but in the profound changes to Marshallese culture and society. Entire communities were moved around like furniture to accommodate U.S. weapons tests. An excellent article. Thank you for sharing it. Like Americans will be doing next year under Trump. The films director says, as follows, "I thought I could ignore the contradictions,” she intones. “I thought they were not part of the story. I was wrong. They’re becoming the story." It's time. 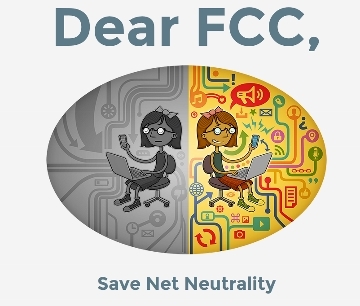 Let's save the Internet. FCC Chairman Ajit Pai has made a dangerous proposal to destroy the FCC’s net neutrality rules—the very same rules that keep Internet providers like Comcast, Verizon, and AT&T from choosing which websites you can and can’t access and how fast those websites will load. But before he can enact this terrible plan, he has to make the proposal publicly available and accept comments from regular people about how it would affect them. That’s where you come in. We’ve launched a new tool to send your unique comment to the commission: DearFCC.org. Simply answer a few questions about why the Internet is important to you, and we’ll help you send your message to the FCC. Net neutrality is fundamental to our democracy. We can’t let Comcast, AT&T, and Verizon monopolize the Internet and decide which websites we’re allowed to access. At a time when many people across the country have only one choice for high-speed broadband Internet access, customers have no way of holding ISPs accountable. The clear, light-touch rules enacted by the FCC in 2015 are our best hope for protecting a free and open Internet. Let’s send Chairman Pai a message: this is our Internet and we’ll fight to protect it. The AFL-CIO developed a comprehensive resource book to aid organizers and advocates should workplace raids or audits occur at worksites or in our communities. Too often, workplace raids and audits are used as cover to suppress the rights of working people who speak up for safe, just and dignified working conditions. Below are many of the materials and tools we developed to prepare for, and resist, the unjust workplace raids and audits that undermine the rights of all workers. You can download pieces of this toolkit here. In order to obtain the complete toolkit (it's about 100 pages), please complete and submit this request form. Neidi Dominguez, Rosa Lozano, Gloria Alvarado, Tamara Brummer, Chloe Osmer, Kelly Rodriguez, Matthew Ginsburg, Shannon Lederer and Robin Foster. Believe it or not, Millennials and Baby Boomers have much in common, especially when it comes to the changing U.S. political economy. Join us for an intergenerational happy hour discussion unpacking the impact of America’s fractured social safety net across generations. It’s no secret that today’s young adult generation faces unprecedented financial insecurity. Compared to when Baby Boomers were young, Millennials (born 1980 and after) have lower incomes, less savings, and lower net worth. They are also disproportionately likely to be uninsured, underemployed, or unemployed, and many are saddled with unprecedented levels of student debt. Boomers are also facing serious challenges. Pensions have been dramatically eroded in recent decades, and many boomers will be forced to work beyond the normal retirement age and/or to reduce their standard of living. Social security is under political attack and proposed cuts to Medicaid may also reduce the resources available for long-term care. A common thread across the generations is the increasingly weakened U.S. social safety net—Social security, unemployment insurance, Medicaid, Medicare, and “welfare.” Not only have these programs deteriorated in recent years, but they are newly threatened by the Trump administration and the current U.S. Congress. The program will begin with brief presentations from new research on the challenges that Millennials and Boomers face, followed an intersectional discussion of the common ground (as well as differences) between the two generations. Co-Sponsored by Young Invincibles, PSC-CUNY, NYC Chapter, Alliance for Retired Americans, NYC League of Woman Voters, and the Murphy Institute, CUNY. 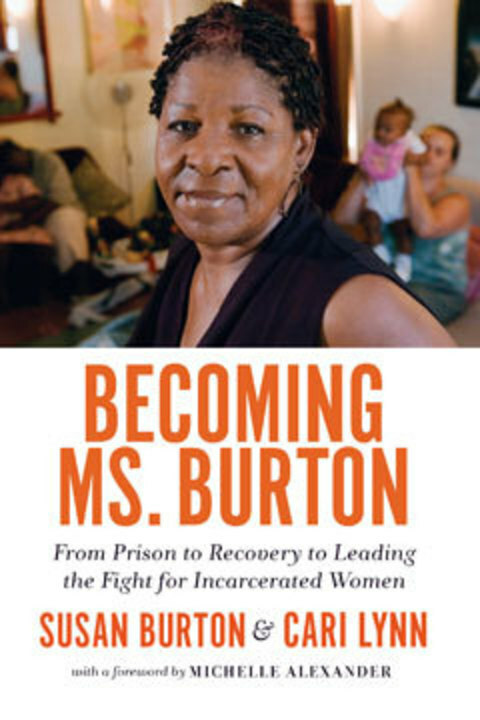 Author Michelle Alexander (The New Jim Crow: Mass Incarceration in the Age of Colorblindness) will join a conversation with Susan Burton, founder of A New Way of Life and author of Becoming Ms. Burton: From Prison to Recovery to Leading the Fight for Incarcerated Women. at the book signing immediately following the talk. Susan Burton is the founder and executive director of A New Way of Life, a nonprofit that provides sober housing and other support to formerly incarcerated women. She is nationally known as an advocate for restoring basic civil and human rights to those who have served time. She has been a Starbucks® “Upstander,” a CNN Top 10 Hero, a Soros Justice Fellow, and a Women’s Policy Institute Fellow at the California Wellness Foundation. Burton is the co-author, with Cari Lynn, of Becoming Ms. Burton (The New Press). She lives in Los Angeles. Michelle Alexander is a highly acclaimed civil rights lawyer, advocate, legal scholar, and the best-selling author of The New Jim Crow: Mass Incarceration in the Age of Colorblindness (The New Press). Formerly the director of the ACLU’s Racial Justice Project in Northern California, Alexander served as a law clerk for U.S. Supreme Court Justice Harry A. Blackmun. She currently serves as visiting professor at Union Theological Seminary and a senior fellow at the Ford Foundation.